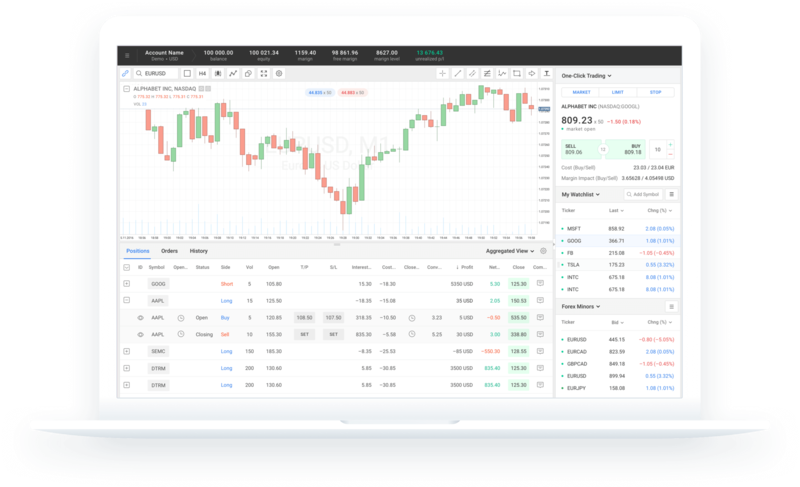 DMA Multi-asset Web based Trading Platform developed for financial institutes. 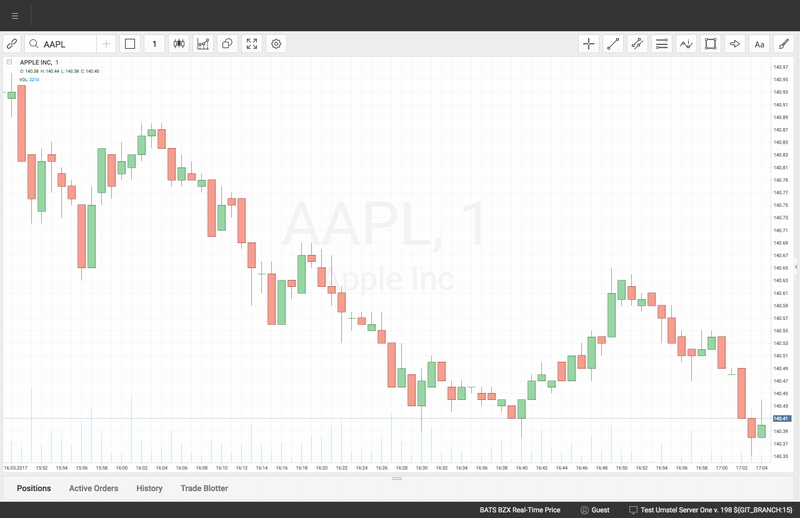 web based financial charts and advanced technical analysis tools. 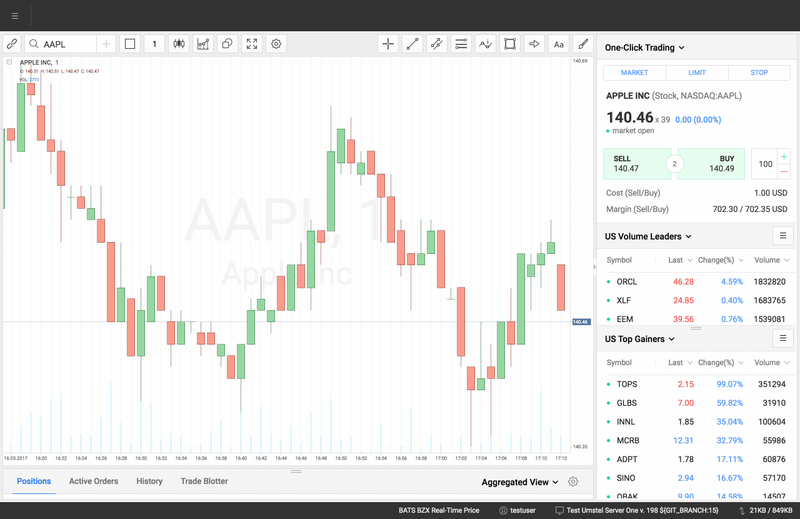 The platform supports multi chart mode instantly changing chart layouts in one click. The mode supports up to 6 charts. 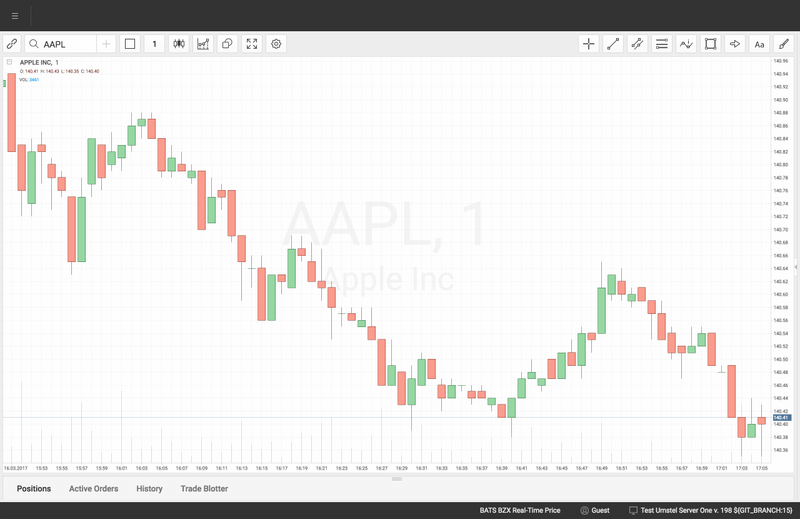 All charts can be linked to an instrument that user selects in terminal workspaces. As a result, a click on the instrument ticker refreshes charts with corresponded instrument, no need to spend time for typing. Umstel supports following types of orders: Market, Limit & Stop. 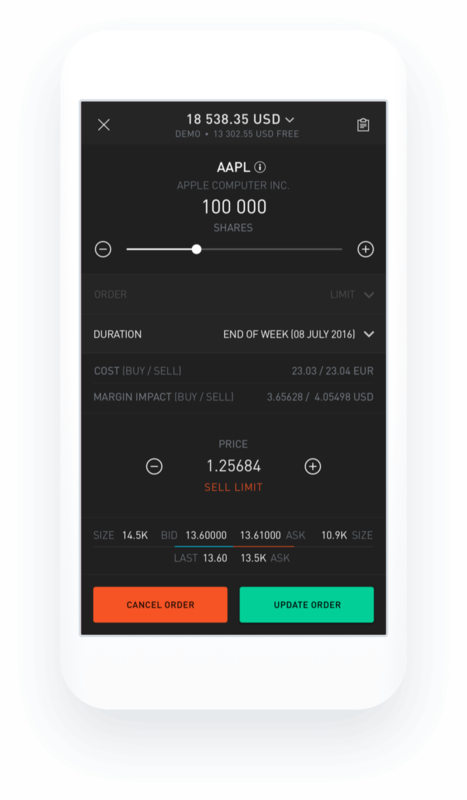 Orders executed directly on stock exchanges within milliseconds. The best execution price guaranteed by exchange. Before sending an order for execution user can estimate Margin & Commission involved if the order is executed. Searching an instrument by ticker or name the platform returns an immediate result. Forex, Spot Metals, Stocks, ETFs, Futures. 10000+ instruments are all available for trading with direct market access to different exchanges around the globe. 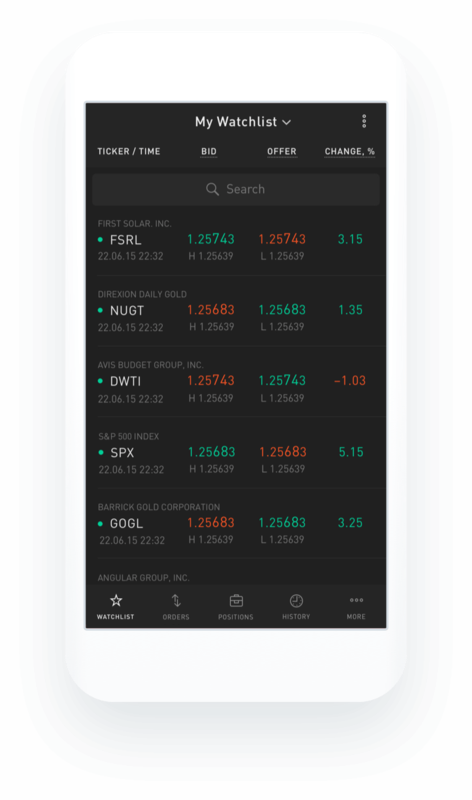 Charts and Watchlists are armed with a symbol lookup feature, which makes them easy to find, add/remove specific instrument to analyze and trade. 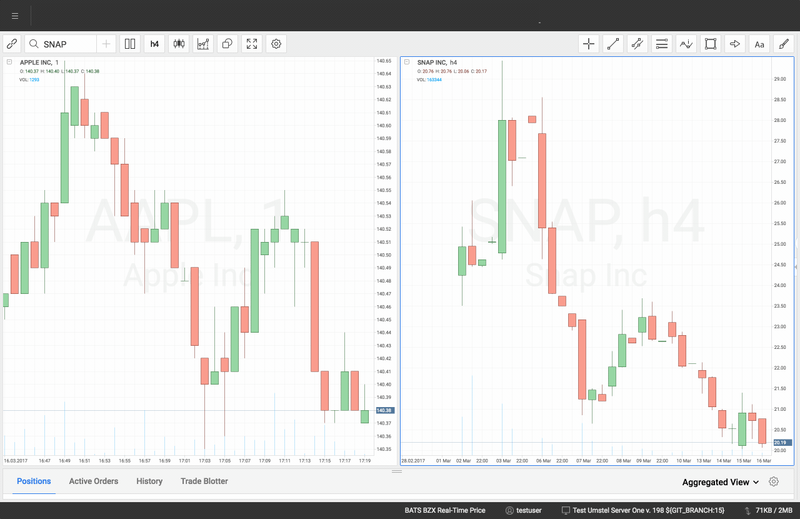 Active Orders and Deals instantly synchronized with charts. Editing Sell Stop Buy Limit or an order entry level has never been so easy and native either with drag-and-drop or touch screen devices. With one-click-trading user can enter a position fast and safe. Predefined volume saved for each instrument individually. Umstel features custom and system watchlists. 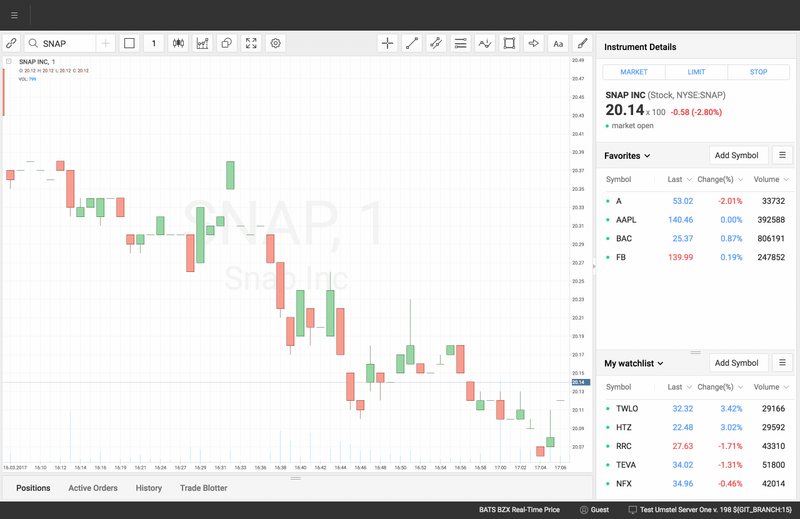 User can edit custom watchlists by adding/removing instruments. System watchlists like Top losers, Top gainers, Volume leaders updated by system in real-time. No need to refresh browser every time to update info in watchlists. The Platform provides users the most accurate info about Top gainers, Top losers, Volume leaders updated real-time from different exchanges.